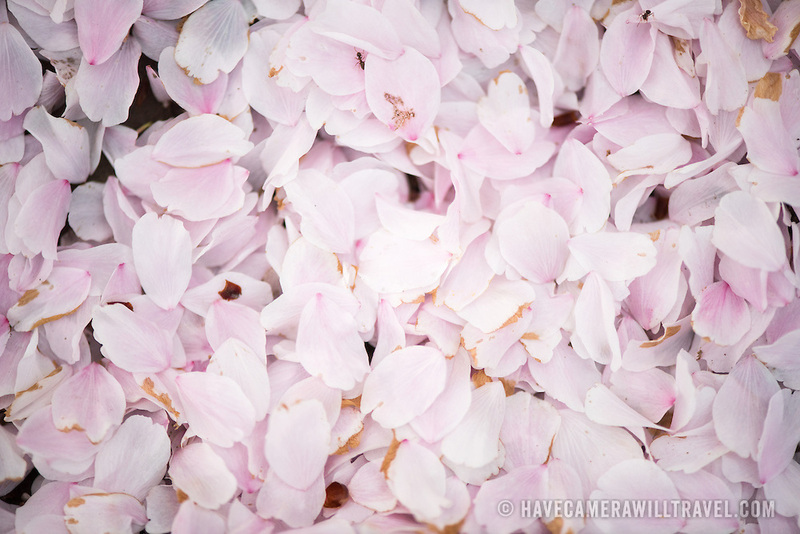 WASHINGTON DC--Pink petals on the ground after the bloom. Washington DC's famous cherry blossoms, and gift from Japan in 1912, in full bloom around the Tidal Basin. The peak bloom each year draws hundreds of thousands of tourists to Washington DC each spring.